Reunion is a French Overseas Territory, and it is located in the Indian Ocean, east of Madagascar. Its tropical climate makes it perfect for a relaxing and entertaining vacation. The best thing you can do in Reunion is to explore the island and admire its many natural treasures. Since there are thousands of kilometers of hiking trails available, you can take your pick. The best places you can see are the Mafate cirque and the volcano. Other than that, you can enjoy an air tour and have a guide tell you all about the islands. Plus, the panoramic view of the island is breathtaking. Lastly, do not forget to enjoy the white sandy beaches. Just do not spend all your vacation on a single beach. You will regret it. Before you take your trip to Reunion, you should check if you require a visa. As mentioned before, Reunion is a French Overseas Territory, so it has its own visa policy. Firstly, you should know that while France is in the Schengen Area, Reunion is not. However, the citizens of the European Union and the nationals of Andorra, Iceland, Liechtenstein, Monaco, Norway, San Marino, and Switzerland are allowed to access all French Overseas Territories and stay there indefinitely without a visa. Secondly, the visa policy lists many nationalities as visa-exempt, and they can remain in Reunion for periods of time that vary from 3 to 6 months, depending on the nationality. All the other tourists who are not eligible for a visa exemption must visit the nearest French diplomatic mission and apply for a consular visa. If you want to know in which category of travelers you fit in, you may read the visa policy of the French Overseas Territories. Nevertheless, using iVisa’s Visa Checker takes less effort. All you have to do is access the feature, which is located in the top right corner of this page and follow the steps. First, you need to select your country of origin from the drag-down menu on the left. Then, you need to put Reunion as your destination. The result will be displayed in just a second, and you will find out whether or not you need a visa. Moreover, if you do, you will be provided with a list of the embassies where you can submit your visa application. For now, there are no electronic visas available for Reunion, which means that we cannot help with the application process itself. Even so, we still want to be of assistance, which is why if you have questions regarding the process, you can contact our support service. It is available 24/7 and is free of charge. The next thing you want to do is find out the visa requirements. The internet is beneficial at this point, and you will find a lot of valuable information. However, we recommend that you use it as a reference only. That is because websites are not always updated. Thus the data is not always reliable. What you should do instead is call the issuing authority and ask about the requirements there. You will be given legitimate information. 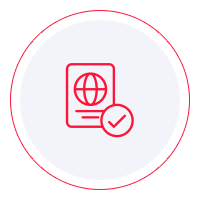 What we can tell you at this point is that travelers who arrive in Reunion must have a valid passport that does not expire for another 6 months from the date of arrival. While we cannot assist you with the visa application process, we hope that the information provided above is of some help.